When SaaS product emails like onboarding prompts, activity alerts, password resets, invoices and shipping notifications, aren’t effective, your users may churn. Simply sending emails isn’t enough—knowing how users interact with them is critical to improving their performance. An email’s journey has just begun when it’s been sent by your app, but most product teams don’t have visibility into what happens next. Data about something so critical to your product’s success shouldn’t be left to chance. The world’s most demanding senders rely on SparkPost to deliver billions of emails every day. That’s more than 37% of the world’s business email. Track more than 35 real-time metrics of message performance and customer engagement with product emails. From bounces, opens, and clicks to injections, renders, and latency, every aspect of message generation and delivery is measured. 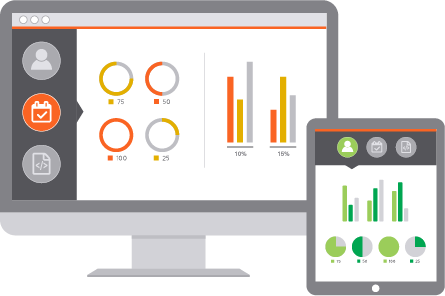 Whether you want a quick overview or need sophisticated filtered views, SparkPost’s analytics dashboard makes easy work of interactive queries of email metrics. Drill down by recipient, campaign, template, and more. Use webhooks (HTTP callbacks) to push inbound and outbound email activity to your app in real time. Trigger events when an email is opened, clicked-through, or bounced. Capture detailed message streams for data warehousing and analysis. Develop your email expertise and master best practices with these practical resources. Learn key email metrics used by growth marketers and technical ops—and the industry-standard benchmarks for engagement, deliverability, and performance. Email notifications have a direct impact on engagement, conversion and retention. Learn essential SaaS product insights in the SparkPost Academy. 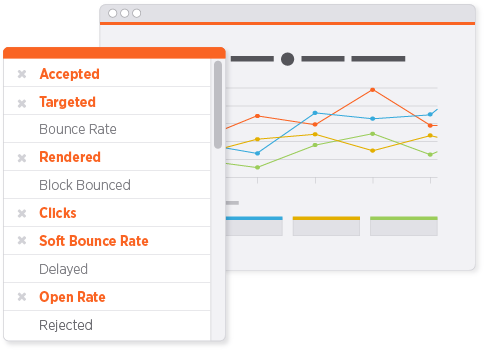 In this blog post, SparkPost’s product manager gives hands-on advice for making the most of our reporting and email analytics features. Read the 2018 Transactional Email Benchmark Report to learn from data-driven benchmarks and best practices how to improve user engagement, conversion, and growth through transactional email.